This is a Book blog...about well books. Reviews of Romance, Young Adult and some Fantasy. Anywho...jump to the middle and they are together on the tour and he is trying to make it up to her and she bets Marissa that she can make him pay like she did. I mean really??? After what him betting made you feel you want to do that same thing to him...sigh. Okay so far from this review you'd think this is a bad review...but it's not. Although, these things annoyed me greatly. I still loved the book and for me it was another grand slam. They get together, YAY...and then Devlin discovers that whoops she didn't take morning after pill and is preggers. Oops, guess that didn't go as planed. He gets upset and says something stupid, but fixes it and we have another happy ending for a Rocker, who was a bad boy until he met his match. Love it. 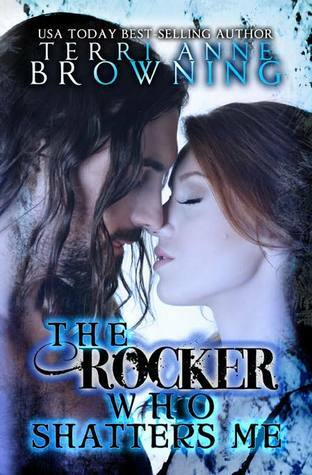 Ready for the next story...oh ya, forgot to mention this one ends with an almost kidnapping and a injured Rocker....Hope it turns out okay...and the Rocker lives to get their HEA. Copyright © 2015 Michelle Woods. Ethereal theme. Theme images by Deejpilot. Powered by Blogger.